This two weekly Carerix release update is a pre-release note. We would like to give you more insights in upcoming changes and give you the opportunity and time to prepare/adapt to upcoming feature releases. In two weeks from now this update will be live. Anonymized records archived as per November 9th. Since release 203 it is possible to automatically archive your anonymized records immediately and automatically during the anonymization action. This removes single character named candidates and empty candidate records immediately from your overviews and hence improving the user experience. This setting is now applied to all of our customers. For a while we are frequently being asked to connect Carerix with Whatsapp. Undoubtedly, a very good suggestion and something we are looking forward to as a company too. Recently Whatsapp announced they are gradually opening up their API's for business purposes. In 2019 we expect to hear more about this and we are looking forward to the opportunities this will bring. In release 210 we make a small leap in integrating Carerix with Whatsapp, making it possible to use the phone numbers in your system to be send to the Whatsapp desktop application. 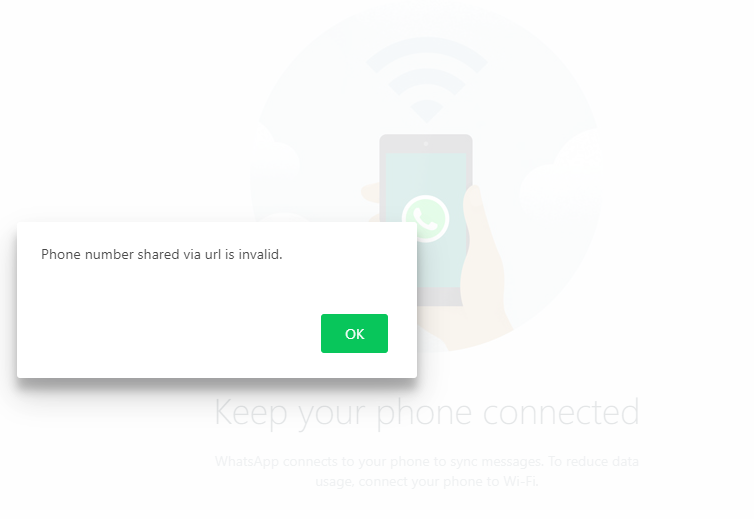 This enables the user to send a message to the phone number via the whatsapp account linked to her/his whatsapp desktop app. In this way it is possible to send messages to all your candidates and contacts even without having them in your contact list on your phone. If you want to try this out, go to the settings menu in your Carerix system - or ask your system administrator to do so. Once activated one can start using the Whatsapp button right away if you have a Whatsapp Desktop application running on the same machine. You do not have to worry about the format. Carerix will strip the phonenumbers from spaces, dashes and other characters not being numbers. You do have to make sure that the phone number has the country code in front of it otherwise Whatsapp will not be able to let you send a message. For example: In the Netherlands the country code is +31. It is not needed to remove the first 0 of the phone number. +310612345678 will work as +31612345678 will work too! In case this happens, check the phone number, change it and try it again. In case the owner of the phone number is not using Whatsapp, the same message will be thrown. It is possible to send messages to people that are not in your contact list of your phone (which is not possible regularly on your phone). Be aware that message send via Whatsapp are not logged in your Carerix system. 2019 most likely will be the year that Whatsapp opens up much more opportunities. Carerix of course is following this very closely and with a lot of interest. Fixed an issue with time sheets, causing double lines (and hours) for internal declaration types. Fixed an issue with qualifiers to make the region fields read-only causing the field to be still editable while this was not intended. Fixed a frontend issue with the display of the legal ground status in case a candidate is delivered via a supplier. The indicator in that case was between the name of the candidate and the name of the supplier. Fixed an issue causing archived and anonymized candidates in Carerix still being available for Textkernel Search! Fixed an issue causing some portals malfunctioning when requesting a time sheet.